Connar Joy Calligraphy would be honored to help make that first impression. 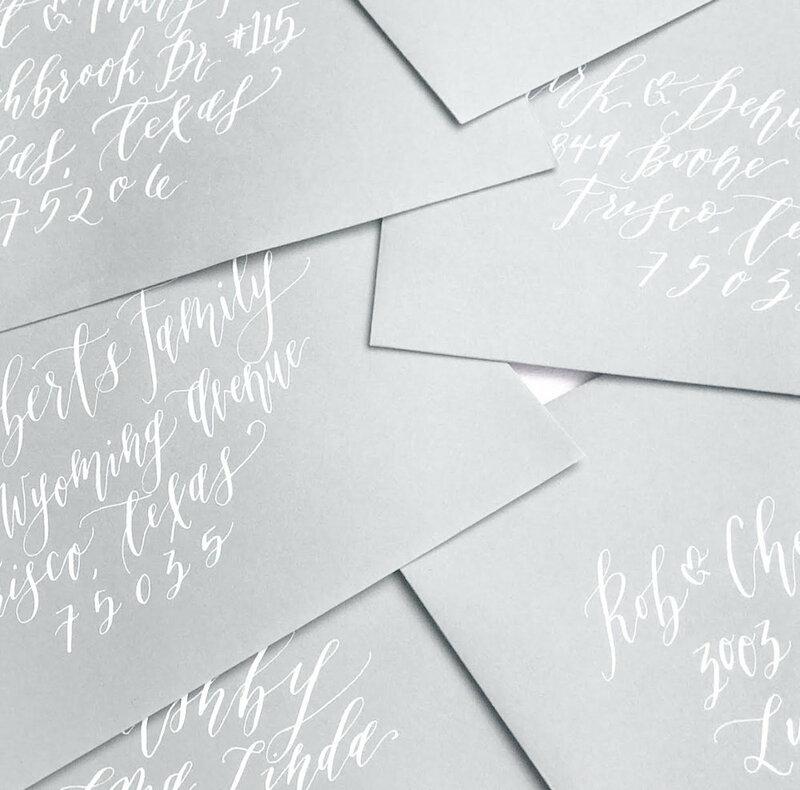 Envelope calligraphy is offered in three different styles, as pictured above. Other options, such as brush lettering and different flourishing styles are available upon request. Click the button below to view the Connar Joy Envelope Calligraphy Guide!